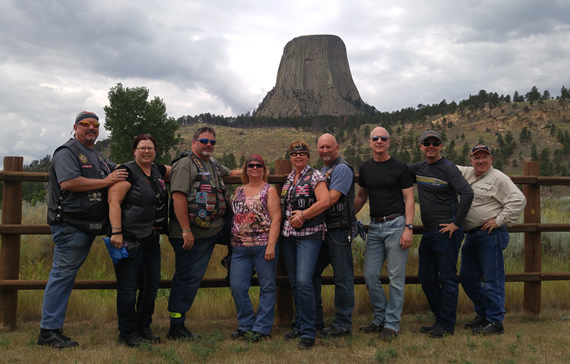 Tour On Two | Guide Motorcycle Tours Across the U.S. It's all about the Ride; Come Ride With Us! At Tour on 2, Inc., we offer the motorcyclist an opportunity to have an experience of a lifetime by providing a safe and enjoyable riding adventure. Tour on 2, Inc., is more than touring on two wheels or riding on two lane roads. Tour on 2 is about riding to new destinations and seeing those places that you have always wanted to see. Ride with Tour on 2 and safely experience the adventures of the open road. You will join others on a professionally-guided motorcycle adventure that you will never forget. When you book your tour with Tour on 2, you will relax and enjoy yourself, knowing that every last detail has been carefully planned out for you ahead of time. We do all the work so you can have all the fun! “Truly were a great experiences. (Blue Ridge Parkway/the DRAGON….the ultimate motorcycle roads in U.S.) and a fantastic trip in Arizona from Grand Canyon to the Mexican Border. They were all super organized, flexible, thoughtful and the BEST motorcycle tour experiences. The ONLY “worry free” way to GO !!! ” John S.